The invoice price & true dealer cost are not the same. The true dealer cost of a Ford F-250 is lower. 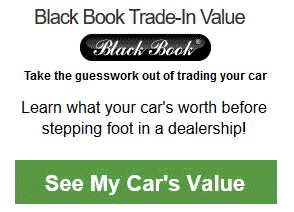 Note: The Ford F-250 pricing report below does not include rebates or incentives. 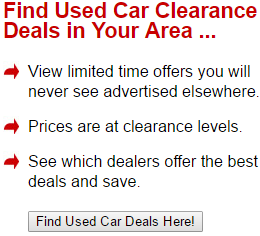 View Ford Rebates and Incentives. Ford F-250 Prices - How Much is a Ford F-250? For a 2WD F-250, See the Ford F-250 2WD Price Report. 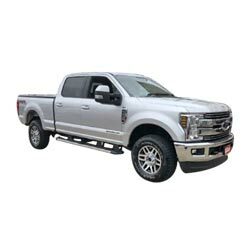 The 2019 Ford Super Duty F-250 4WD is a more capable bigger version of the extremely popular F-150. The F-250 provides an excellent blend of capability and daily usability. The Super Duty can basically tow anything you hook to it. In addition, the F-250 is well-equipped with technology gear and has very comfortable seating. The 2019 Ford Super Duty F-250 4WD now has an available sport package for the Lariat trim. Also, the Sony sound system was replaced by a Bang and Olufsen(B&O) premium sound system that sets a new standard of how mobile audio should sound. The new F-250 Super Duty has six different trims to choose from. The trims can be configured as a regular cab, SuperCab, or crew cab with either a short or long bed. The base XL model is basically designed to be used as a work truck, but it still comes nicely equipped. Some of the key features include a tilt-and-telescoping steering wheel to provide the most comfortable steering position and a lockable tailgate that can be removed. The tailgate also has a lift assist system for effortlessly opening and closing. The cabin has durable vinyl upholstery, air conditioning, and large driver information display. Heavy duty 17-inch steel wheels and manual locking hubs for four-wheel-drive models are also standard. The XLT model upgrades to attractive 18-inch wheels and a CD player with satellite radio for your listening pleasure. The exterior mirrors are power-adjustable and heated for those cold winter days. For improved comfort, the cabin upgrades to cloth upholstery. Convenience features include power windows and locks, keyless entry, and a 4.2-inch Sync voice-controlled infotainment system. A USB port allows the connection of a variety of media devices. The 2019 Ford Super Duty F-250 4WD Lariat trim steps up to a 10-speaker premium B&O sound system for the ultimate in listening pleasure and smartphone integration for Apple and Android devices. The Sync 3 infotainment system features an 8.0-inch touchscreen that is centrally mounted for user-friendly operation. The dual-zone automatic climate control system provides tailored temperatures for the driver and passenger. The leather upholstery gives the cabin a more luxurious look and feel. A 110-volt household style receptacle adds the flexibility of powering a wide range of equipment from any location. Other features include Wi-Fi hotspot, power-adjustable pedals, an electronic shift four-wheel-drive system, rear center armrest, and an auto-dimming rearview mirror that provides consistent visibility during blinding light conditions. The 2019 Ford Super Duty F-250 4WD King Ranch is only available as a crew cab and features unique western themed trim and details. It also upgrades to keyless entry and ignition making the need for a key obsolete. The convenience of remote start allows you to start the vehicle from a far distance before departing. For those cold winter days, the heated steering wheel and seats will keep you cozy and warm. Additional features include upgraded leather upholstery and a GPS navigation system. The Platinum trim is also only offered as a crew cab and it steps up to eye-catching 20-inch alloy wheels and attractive LED headlights. As the name states, it features plenty of chrome accents. Other features include an integrated tailgate step for easy entering and exiting of the bed, power running boards, and a remote tailgate release. For maximum comfort, this model has standard multi-contoured front seats. The Limited model includes all of the equipment from the Platinum trim plus a 360-degree camera system allowing for a birdseye view of the truck's surroundings. It also includes an elegant two-tone leather cabin that is exclusive to this trim. A panoramic sunroof and extra safety aids are also standard for this model. The 2019 Ford Super Duty F-250 4WD has two available engines to choose from. The 6.2-liter gasoline V8 engine pumps out 385 hp and 430 lb-ft of torque. The 6.7-liter diesel V8 engine generates an impressive 450 hp and 935 lb-ft of torque. The engines are connected to durable six-speed automatic transmissions. Rear-wheel drive is standard while 4WD is optional for all trims. The F-250 is capable of towing up to 25,000 pounds. The federal National Highway Traffic Safety Administration(NHTSA) has yet to complete testing on the 2019 Ford Super Duty F-250 4WD but did give the crew cab model a five out of five stars rating for side-impact crash tests. The truck features a full complement of airbags and safety aids such as automatic wipers, blind-spot monitoring, and adaptive cruise control. Example: Base Ford F-250 invoice price + the dealer Invoice price of all the options + destination - Holdback = Total Dealer Cost. Note: All Ford F-250 MSRP, invoice and dealer cost dollar figures above are approximate amounts. Prices are subject to change without notice.